Did you know Halloween is really a festival of the dead? Flashback some 2000 years ago on October 31st, it was believed that the dead returned as ghosts! Witches attempted to communicate with the dead, and apple bobbing was done to obtain favors from the evil spirits, bonfires were for sacrificing, and costumes worn only to guide us from roaming spirits. Today, we celebrate this family friendly, kid centered day with costume parades, pumpkin festivals, scary haunts and more. Here are non scary activities for our favorite season of the year! Train ride and Fall activities. Climb aboard the Pumpkinliner train. Walk among pumpkins, corn shocks and scarecrows. $ Admission / Train. Whippany Railroad Museum, 1 Railroad Plaza, Whippany NJ. Usher in Fall with a Hay Ride to the festival site. Featuring pumpkin picking, pony rides, corn maze, hay bale maze, pumpkin bowling, pedal karts, potato sack slide, pumpkin moon bounce, food, music and much more. 586 South Middlebush Road, Somerset NJ. Pumpkin Picking, Haunted Hayrides to a Haunted Greenhouse, Corn Mazes, House of Horror, Cowboy Shows, Petting Zoo, Face Painting, Cowboy Larry’s Wild West Show and much more. 178 Highway 34 & Schanck Road, Homdel NJ. All ages are invited to enjoy plenty of Fall festivities. Wear your costumes. Candy, refreshments and entertainment. Main Street, Fort Lee NJ. NJ’s longest corn maze. 4 acre maze with gameboard, hidden clues and flags. Courtyard with pumpkin patch, hayrides, snacks and a kids haybale maze. $ Admission. 17 Valley Rd, Hopewell Township NJ. 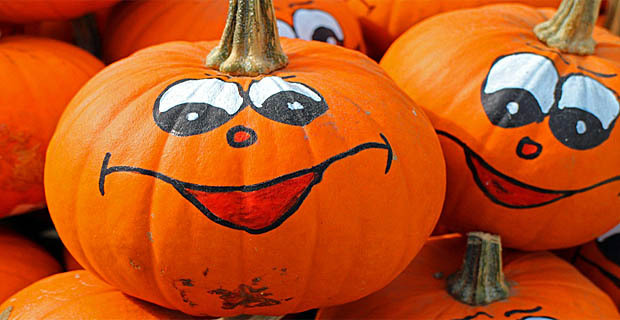 Plenty of family fun - walk through popping pumpkins and spooky scarecrows. 2900 Southern Blvd, Bronx NY. Great pumpkin festival runs through Nov 5th. Largest Fall Festival in Northern New Jersey, U-Pick Pumpkin Patch, Corn Maze & Farmers Market. 451 State Route 94, Vernon NJ. Pumpkin galore for all. Painted & Decorated Pumpkins, Pumpkin Carving, Little Miss & Mister Pumpkin Show Pageant, Kids Ceramic Painting, Scarecrows, Spooky Hayrides, Sand Art, Face Painting, Kids Games. Salem County Fairgrounds, 735 Harding Highway, Woodstown NJ. Hayrides and pumpkin painting are just the start of a fun-filled family weekend. Games, face painting, applesauce making, tasty food, music, and dancing, great photo ops. FREE parking & admission. 2 Morris Rd, Ringwood NJ. Be on the lookout for monsters and ghosts. Rides depart every 15 minutes, heading through the woods, then into Historic Village at Allaire for a spooky visit. $ Admission. 4263 Atlantic Ave, Farmingdale NJ. Bring the Kids! FREE activities: Pony rides, petting zoo, pumpkin painting, hayrides, a trackless train, music, maze, face painting, a moonwalk, sand art & more! Pier A Park, 100 Sinatra Drive, Hoboken NJ.